Advance Tabco CR-HS-12 Stainless Steel Underbar Hand Sink with Deck Mount Faucet - 12" x 21"
Sink bowl measures 10" x 14" x 10"
The Advance Tabco CR-HS-12 stainless steel underbar hand sink with deck mount faucet is a convenient, versatile handsink that will encourage proper sanitation habits in your foodservice, hospitality, or industrial setting. With a 29" working height, this unit will serve as a welcome addition that's also built to last. 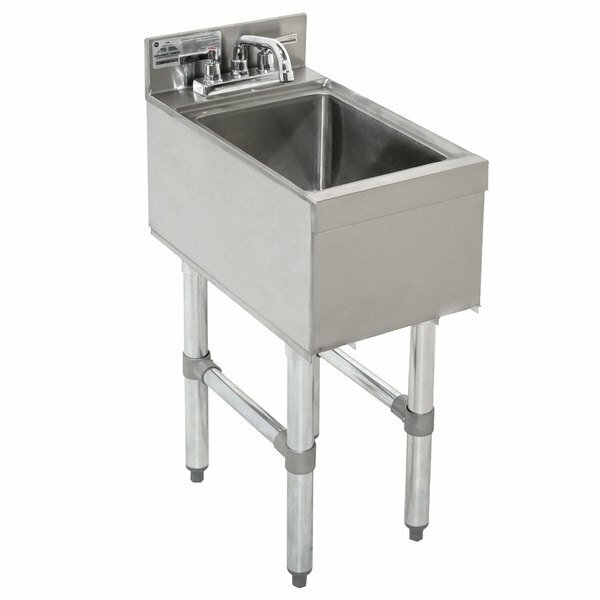 The sink bowl measures 10" x 14" x 10", while a 4" backsplash prevents water from spilling on the floor and the walls immediately around the unit. Additionally, this series features a rear deck for extra storage. The deck mount faucet meets federal lead free standards, making this Advance Tabco CR-HS-12 hand sink is the perfect addition to any setting looking to increase their sanitation efforts.